So I decided that since I was moving across the country in the fall to go to college I'd build a new computer that would be powerful, fairly movable, and durable; and I believe this has accomplished that. My older computer which I'm selling was a very large full tower case with a full sized ATX board, so simply moving it all into a smaller case wasn't exactly an option. So since I'd have to use a new motherboard I decided I might as well start from scratch and go at it. I use my computers for a very wide variety of things, from daily use of simple things, to compiling code, video rendering, video editing, to games (many on emulators), to CAD programs (Mainly the Autodesk Suite), to about anything else you might imagine. Currently my setup runs three monitors and is also connected to a tv for movies, however will be swapped down to just using a single monitor and possibly a tv for when I move. CPU: In general I've almost always had to use I7 series with all the rendering I do, I've tried doing them with an I5, but the extra time cost isn't worth the price difference. Also, I wanted to move on up and start with the future proofing of using DDR4 RAM. 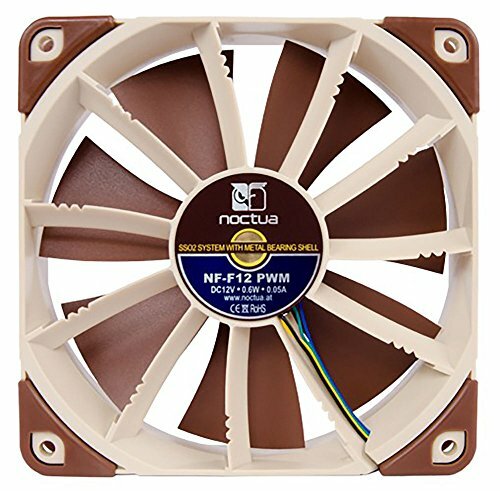 CPU Cooler: Noctua has always been an amazing brand for air cooling in all their products and this is no different. I chose this because originally I wanted to keep this computer running completely off of air (Explanation of the GPU later.) It did it's job very well combined with the included Thermal Compound, I tried using AS5 originally but found that noctua's paste actually did better by about 3 degrees. Also, I added a second NF-A9 Fan with it to increase the airflow and keep it smooth. Motherboard: Simple to say I took a bet with trying out ASRock with their "Premium quality, medium price" tactics, and honestly I can say I'm fairly happy with it. Looks great and includes copper heat sinks in the proper places, sound quality is excellent, I was actually the surprised at the difference between the audio different between my old board and my new one. 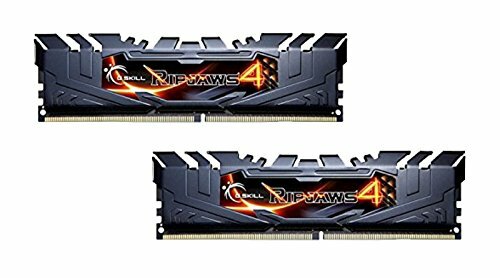 RAM: Simple to say, It's ram caught it on sale relatively higher speed with a fairly low latency that was fairly low profile and well... it works. Lol never too much to say about RAM. Power Supply: From a trusted brand, continuous, semi-modular, plenty of cables, and 80+ gold, it does it's job well. The reason why it's an 850 Watt is simply because I bought it before deciding on a graphics card, I was heavily debating between new of Nvidia's single cards or between two of AMD Fury's. However it does provide room for another card if I ever felt the need (Not likely). 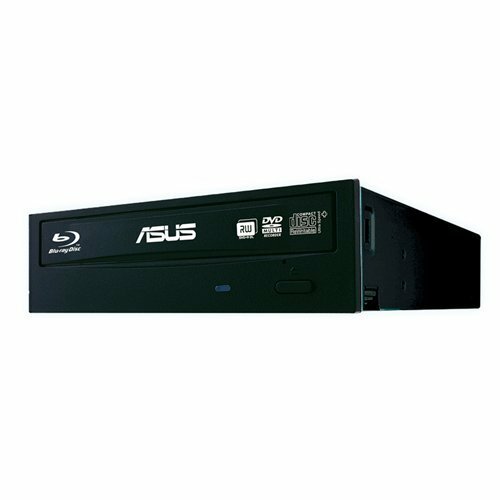 Optical Drive: It's fast, runs Blue ray discs which is a must as that's what most movies are given to me are, also supports M Discs which is a plus I suppose. This can get a bit loud when under load however, but it's not very loud under normal reading operations. OS: I may get a bit of hate here, but I opted for windows 10, figured eventually I'm going to have to switch to it anyways so decided to do it now. I have no real complaints about it honestly, still very far from my love of Linux, but unfortunately Linux just doesn't have the support I need for everything yet, so it'll just stay on my old laptop. Case Fans: As mentioned before I did mean for this to be a very heavy air flowing case and it does so well. Note that the two sickle-flows are actually blue, PCPartPicker didn't have them in that color for some reason...oh well. Also due to Noctua's amazing performance but terrifying color scheme, I opted to simply paint them black with a can of spray paint. Has worked great so far, no issues from the fans at all. Case: Simple and to the point, it was black, it was made out of a durable steel, has USB 3.0 Front support and could do what it was asked, I have no complaints about this case. Cable management wasn't too bad for it actually. GPU: I intended to actually pick up an air cooled card, likely an EVGA FTW model, however I could never seem to find any that weren't on ebay for well over a thousand. After monitoring websites for about a month I finally managed to see this one and grabbed it. I grabbed a couple of screws and washers and attached the fan and radiator to an existing sickle flow fan, works amazing as a push/pull combo. Extras: LED Blue Cable Light: Keep it with a blue hue that trails the outside, while the light on the GPU keeps it night clean color, I think it looks fairly classy. OXoqo USB and card reader as I need access to use SD card, and decided a couple of extra usbs wouldn't hurt either. PWM Fan Splitter because not enough controllers on the board. Molex to PWM adapter for the same reason. 3D Mark Firestrike: 17,543 Graphics: 22963 Physics: 12726 Combined: 7967 My GPU temperature never went above 41. In general I've almost always had to use I7 series with all the rendering I do, I've tried doing them with an I5, but the extra time cost isn't worth the price difference. Also, I wanted to move on up and start with the future proofing of using DDR4 RAM. 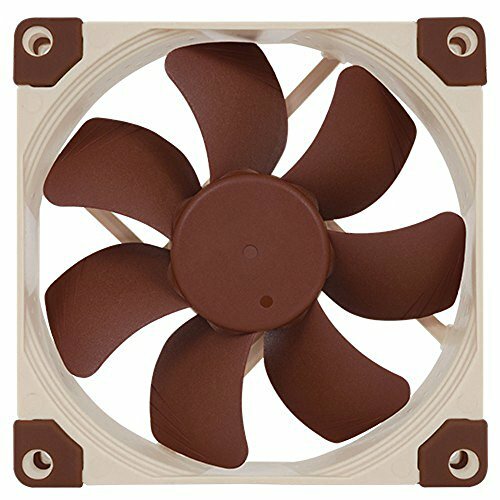 Noctua has always been an amazing brand for air cooling in all their products and this is no different. I chose this because originally I wanted to keep this computer running completely off of air (Explanation of the GPU later.) 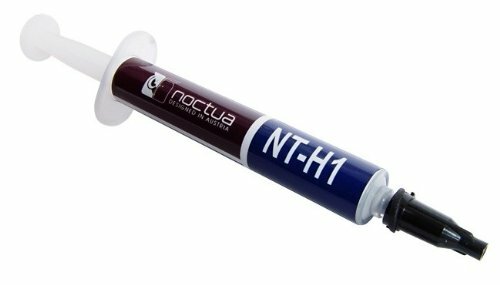 It did it's job very well combined with the included Thermal Compound, I tried using AS5 originally but found that noctua's paste actually did better by about 3 degrees. Also, I added a second NF-A9 Fan with it to increase the airflow and keep it smooth. Surprisingly the best Thermal Paste I've used so far even surpassing AS5. Simple to say I took a bet with trying out ASRock with their "Premium quality, medium price" tactics, and honestly I can say I'm fairly happy with it. Looks great and includes copper heat sinks in the proper places, sound quality is excellent, I was actually the surprised at the difference between the audio different between my old board and my new one. Cons to it: Sata 0 and 1 slot are Null when using a M.2 SSD, could be another PWM Fan Controller, IO Plate was insanely annoying to get on properly. Simple to say, It's ram caught it on sale relatively higher speed with a fairly low latency that was fairly low profile and well... it works. Lol never too much to say about RAM. Does it's job, and comes with the life warranty as always. I decided to opt for a M.2 SSD and finally upgrade from my old hard 5400RPM WD Green drives, absolutely love it, probably won't go back. It is absolutely the fasted thing I've ever seen. From a trusted brand, continuous, semi-modular, plenty of cables, and 80+ gold, it does it's job well. Fan holds up well and is quite too. 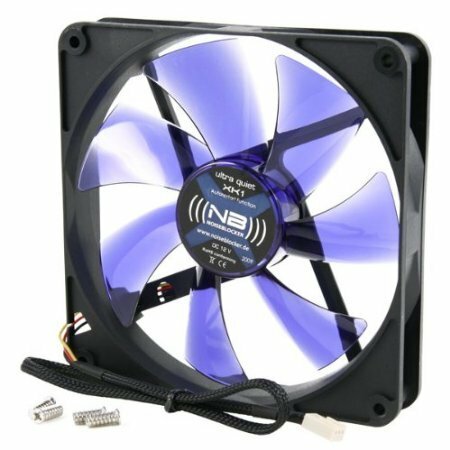 I painted two of these fans to go into my build and honestly found that they work incredibly better than I expected. They're set as pulling air through a thick dust filter, but still move air incredibly well. Added as an addition to my Noctua NH-D9L, comes with a noise dampener and PWM splitter. I painted it as I don't enjoy the colors, but it does it's job incredibly well. Did you have any problems with your ram. Because this is the kit that I want to buy but my system is skylake. Like yours. Did you have any problems with it?